On February 6, 2019, Pack 1776 will be kicking off our participation in the Mt. Diablo Silverado Council’s Friends of Scouting annual giving campaign. Friends of Scouting represents the council’s largest source of income. What does the Council provide? As you can see, there’s more happening at your council than the average volunteer sees. And it can’t happen without the support of volunteers like you. Click here to learn more about Friends of Scouting. 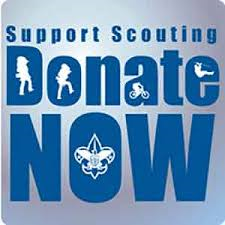 Click here to donate now to Friends of Scouting.